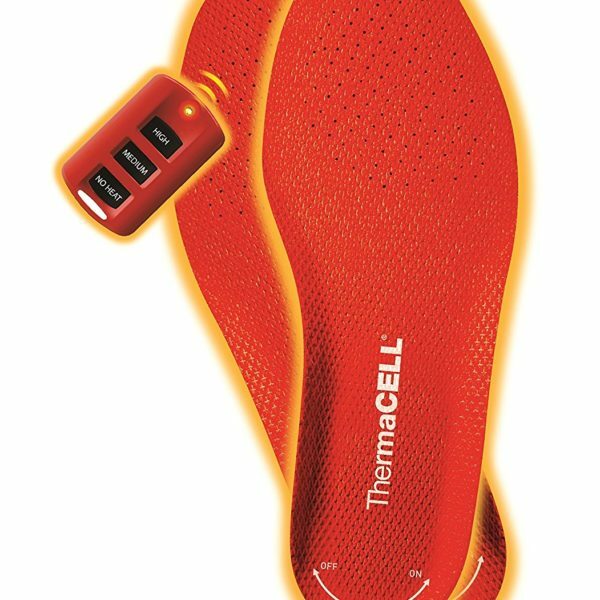 With convenient remote control and adjustable heating levels, these heated insoles are a great way to keep your feet warm in any situation. No obtrusive or annoying batteries will get in the way, and you can turn the insoles on or off at the press of a button. 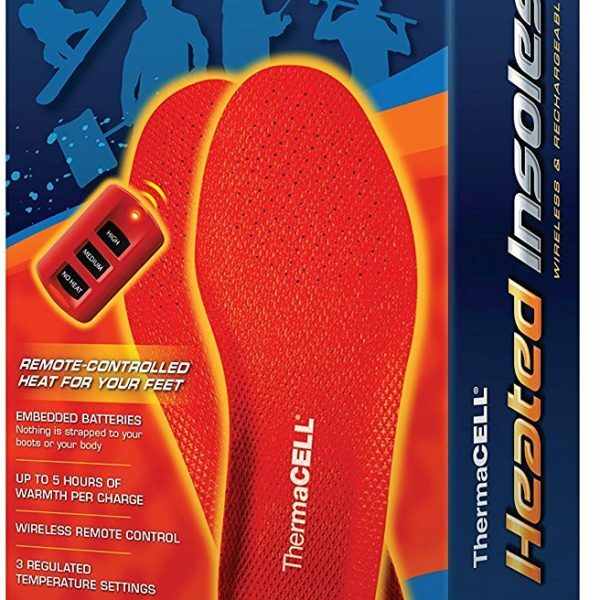 Heated insoles are a fantastic way to keep your feet warm. When electric heated socks aren’t enough or if you prefer to wear regular thermal socks, consider getting electric heated insoles. 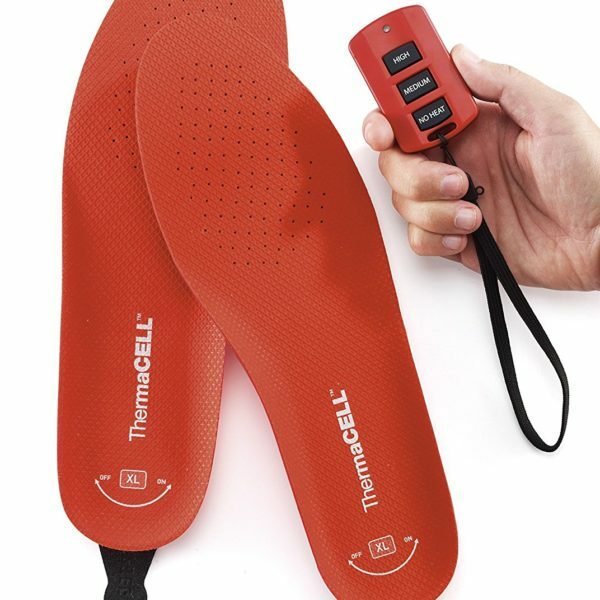 ThermaCell’s rechargeable heated insole is one of the best products on the market and will keep your entire foot warm. 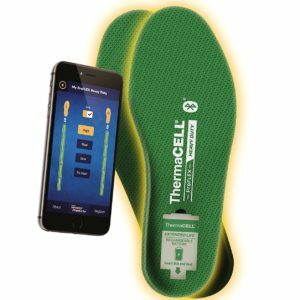 Using wireless thermal technology, these heated insoles have no wires, extension cords or other elements. There are no batteries mounted on your ankle or knee to make it uncomfortable to wear. 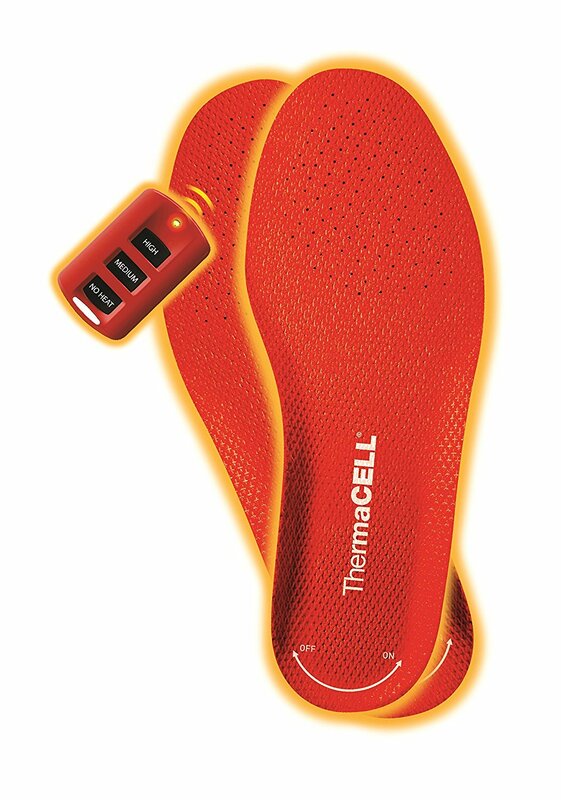 Thermacell’s heated insole has embedded ion polymer batteries that will not get in the way. 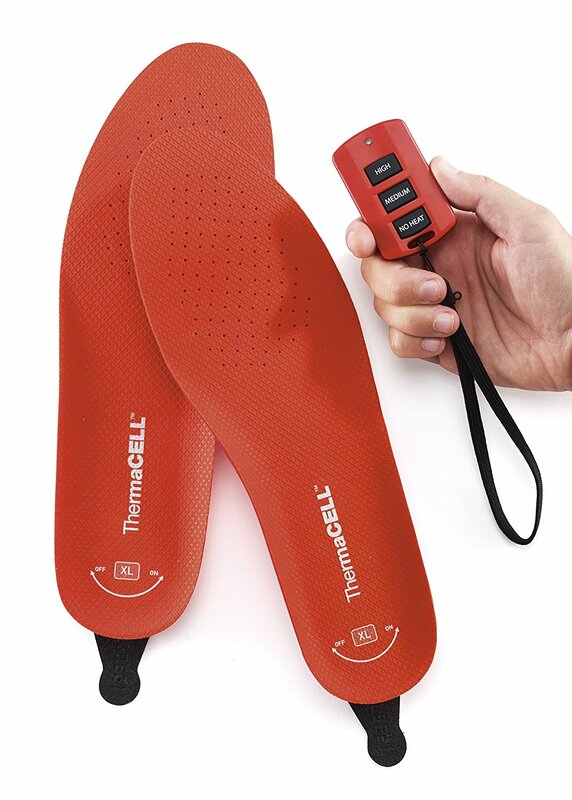 The insoles are adjustable with two different heating levels, high and medium (110 and 100 degrees). Heating levels can be adjusted or turned off by using a convenient remote control! These high quality insoles are an excellent alternative to battery heated socks, and can even work alongside them. Highly recommended. Works exactly as stated. Doesn’t feel hot to touch, but the steady warmth keeps my toes comfortable but not hot and sweaty. My feet are always cold to the point of pain, but these insoles really help. Length of time between needing charge varies depending on heat level setting and environment. Most days I set on medium and switch between no heat when comfortable and charge lasts all day. When outside in extreme cold or surfaces like unheated concrete garage floor I use high heat. I can’t say how long charge lasts on high, thankfully I haven’t needed to spend hours in those extreme conditions to need high setting. Just ordered my second pair after a year. First pair still working, but sometimes I forget to recharge them. Only con for me is minor, would prefer portable charger and newest model has that. Great product! 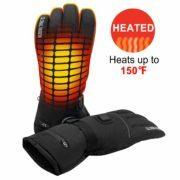 I got these so I can work outside in the cold without having to waste money on throw away toe warmers. They work great 28 degrees and higher. Once you start going in the 20’s and below the insoles are only good for 1 1/2 hours before the battery dies on the high setting. You also have to take out all of the insoles already in your boots or shoes before these will fit. Otherwise they are ok for “normal” cold temperatures. If you are in an area that is in the teens and single digits these are useless. These keep your feet warmer than any electric socks. The socks have a heavy battery at the top, don’t last very long. also you can’t control the heat. 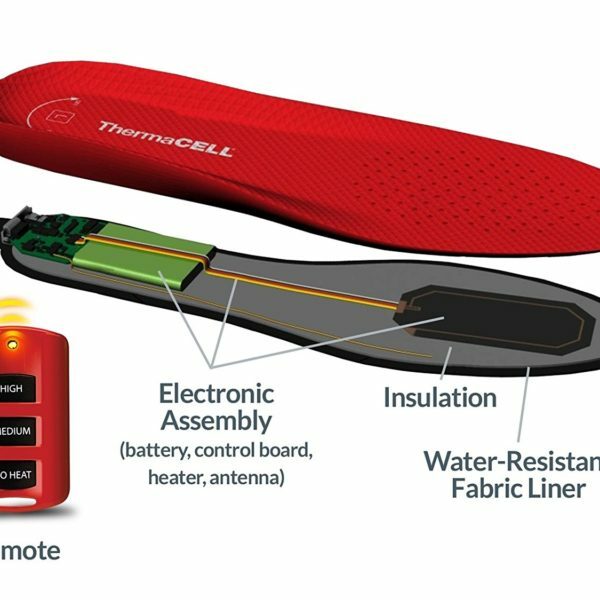 With these soles you have a remote control to raise or lower the temp or just turn them off if your feet get too hot. 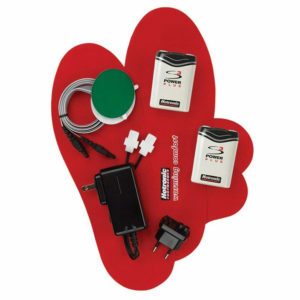 They are rechargeable, so you don’t had to buy batteries all the time like with the socks. These do not “heat” your feet. They do help to keep them from getting cold. Medium setting is 100 degrees, High setting is 111 degrees. You need to wear lighter weight socks to allow these to do their job, which is a bit of a contrast to wear light socks instead of heavy since its cold outside when you need them. These allowed me to stay on stand for 6 hrs. in zero degree temps with 20 mph winds. took a bit getting used to charging them and figuring out that they were working and that me feet were burning up not freezing. I went snow shoeing in 15 below for 2 – 3 hours numerous time with these insoles and they kept my toes tostie. Not a 5 rating because of the getting used to charging issues. I bought these to use in my ski boots. It worked just OK, a bit of a hassle to get them in and out of the boot to charge. I kept these anyway to try in my regular winter boots to use at football games or other cold weather events. If I remember, I will post an update. I bought these as a Christmas gift for my boyfriend. He is an electrician that is constantly outside in freezing conditions. He used them during the polar vortex, and was the only warm person on the job site. Definitely worth every penny! They are awesome. The one thing I would improve would be the battery life on high. It is only 5 hours and I wish it was longer. These work great. The remote is a little bit of overkill but might be handy some day. Expensive and worth every cent. 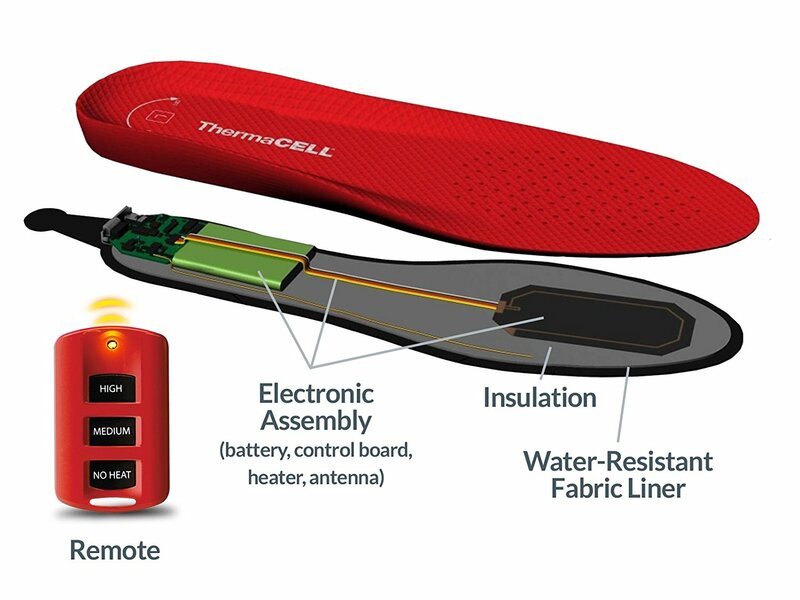 The Thermacell Insole Insoles worked as advertised. The convienience of wearing without wires and no additional batteries made them even more attractive. The only negative was the charge life could be better. Even on low and not turning on until I got into my stand they needed to heat a little longer. 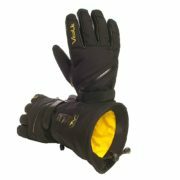 These were great for this cold winter in Ohio. I put them in my slippers and kept my feet warm while watching tv. They held their charge. I wear a size 6 1/2 ladies shoe and these were a bit large for me. I have not trimmed them down and they fit in my over sized slippers okay. They are fairly thick so you may need an over sized boot to fit them in comfortably. Worked exactly as described. Almost didn’t purchase after reading some of the reviews, but this product kept my feet nice and toasty sitting in my deer stand in northern Michigan this past season. Never even turned them on high, medium was just fine. I was a bit worried about this purchase due to so many negative reviews. But these insoles have exceeded my expectations. Even just having the insoles in keeps my feet warmer than normal, due, I guess, to the added insulation. Turn them on, and…ahhh…nice and toasty, even in 15 degree weather. The insoles are a bit hard compared to what I’m used to and have less arch support, but they are not uncomfortable and the heat is worth it. My only suggestion is that you wear them in work boots with the original insole removed; or, if you plan on using any other type of shoe, go up half a shoe size. These are thicker than normal insoles and can feel a little tight. I also wanted to adress the frequent complaint that the insoles dont heat at all. I think the problem might be the tiny on/off switch located near the charging plug. It’s small and easy to miss, especially if you’re a guy who doesn’t read the directions. If the switch isn’t on, of course they won’t heat. And if the switch is left on, even on the no heat setting, the battery will go dead within a day. So mind that switch! All in all I really enjoy this product so far and mine stay heated for about 4 hours on high. I bought these for my dad for hunting. I think his pair has a battery defect. They do not hold a charge, had to change the batteries right away. They only stay warm for a few hours (says 5 hours). They continuously need charged. There amazing. I waterfowl hunt. Sit in a frozen lake with waders on for hours. The key to these is to keep room in your shoes or boots for air. If your socks are too tight or shoes too tight they won’t work. Keep room for blood circulation in you feet. When my feet get chilly I turn them on for about 5 min ant then turn them off again. I continue that cycle and stay toasty warm. Out hunting this morning and my feet got cold. Reached in my pocket and turned on the heat. Surprised to say they work pretty good! Wasn’t really cold out, around 25 or so and had on my lightweight boots. Would recommend to a friend. My husband thought they would have been warmer than they are. He uses them whenever he goes hunting and I’m sure he will use them for plowing as well, I am very satisfied and would order from them again. My second pair. Used for curling. First pair quit after a couple years so I bought a new pair. Then learned the problem was a dead remote control battery. Now I have two pairs. Does not fit into regular tennis shoes. Purchased these for my daughter who lives in Maine and works outside training and caring for horses. She LOVES them and claims they have kept her feet warm on even the coldest days! I would have give 5 stars but one of the insoles stays warm for only about 3/4 of the time that the other does. But still these are great to have in your boots when temps are freezing. Nothing makes a sitting in a tree stand in cold weather more miserable than frozen toes. The remote control for on/off, hi/lo setting is a really nice feature. I can turn the soles off while walking and on while sitting. Keeps feet from being too cold but doesn’t get very warm. 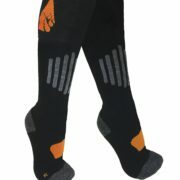 I bought these to put in my boots that I wear to football games in New England winter. Standing on concrete for 3+ hours, your feet will get cold. Cold feet can ruin your day and make you want to leave early. I’ve tried numerous combinations of shoes, boots and socks but nothing really worked. I decided to give these a try and have been very happy. 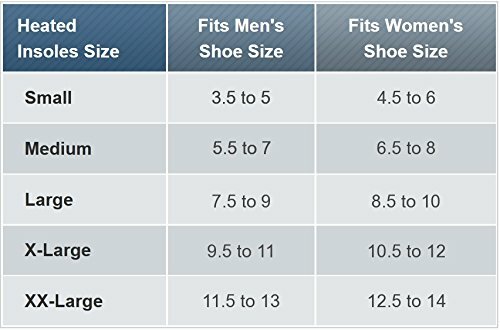 I was worried that they would be uncomfortable because they are fairly stiff, but they were as comfortable as any other shoe insert I’ve tried, gel or otherwise.